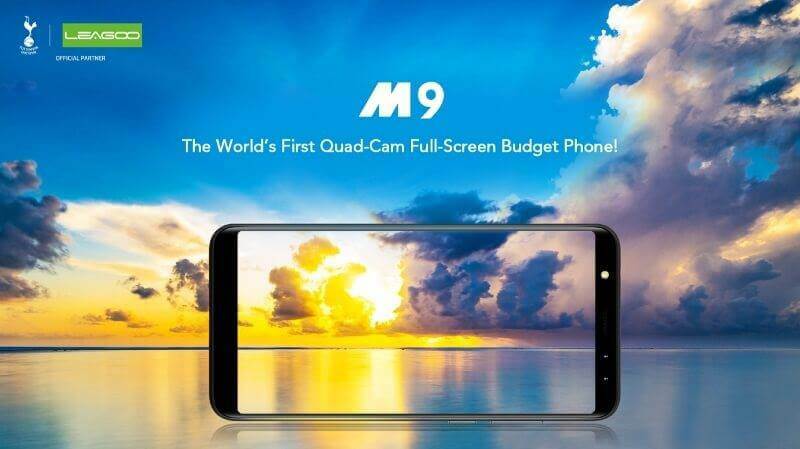 Following the announcement of its iPhone X-inspired smartphone, the Chinese brand Leagoo is again buzzing the industry through its M9 – an 18:9 smartphone geared with four cameras. Trying to steal some spotlight, Leagoo has announced its M9 smartphone which sports a 5.5-inch IPS screen that features 18:9 (1280 x 640) display. While we’re sure that users would enjoy watching videos using the device, the M9, however, has only 5-point screen touch. Under the hood, it is powered by Mediatek MT6580A quad-core processor clocked at 1.3GHz. It is packed with 2GB of RAM and 16GB of internal storage, as well. On top of that, the device boasts 8-megapixel + 2-megapixel rear cameras, and another 5-megapixel + 2-megapixel front shooters. However, as far as we know, the chipset used does not support quad cameras. It will also sport a fingerprint scanner that can unlock the device in just 0.1 second. It is equipped with 2850mAh LG battery, too. The Leagoo M9 retail price is set at US $79.99, or roughly Php4K. For more information, you may watch their company’s promo video at https://youtu.be/baSTrcucm6Y.